Thank you for joining us in 2018! We are already looking forward to our next Halloween fundraiser in 2019! Following the success of "The Haunt at Three Caves", a joint fundraiser with the Land Trust of North Alabama, Huntsville Young Professionals is moving the largest, outdoor Halloween costume party in Huntsville to downtown! Taking place in Big Spring Park, Nightmare on Church Street will have a live band, cash bar, some unique decorations, and 600 of your closest costumed friends. Save the date and join us on Saturday, October 27th from 7:00 to 11:00 PM. Keep the kiddos at home. This is a 21+ event. Takes place on Saturday, October 27th from 7 to 11p.m. 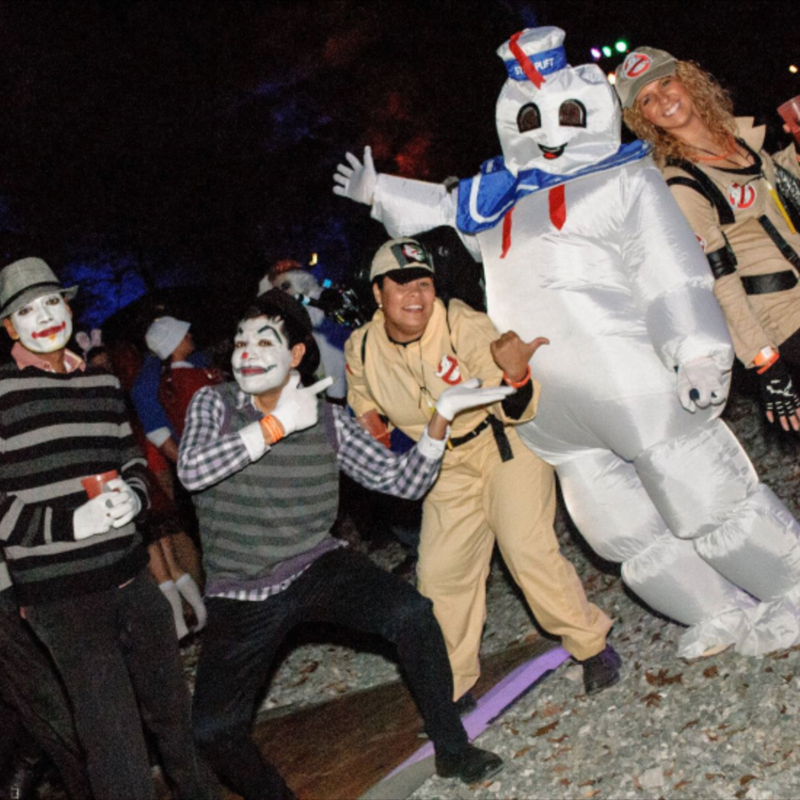 Draws over 600 costumed guests to Big Spring Park. Features live music, cash bar and more. Is easily accessible from downtown Huntsville with ample parking and after-party activities. Sponsoring Nightmare on Church Street places your brand in front of thousands of young people in the area through social media and traditional media marketing. Reach over 6,000 young professionals instantly. Promote your business and grow your local network. Support a local non-profit by providing funding that is used all year long. Don't be caught off guard at check-in! Review the FAQs about outside food/drink, ticket refunds, age limits and more.